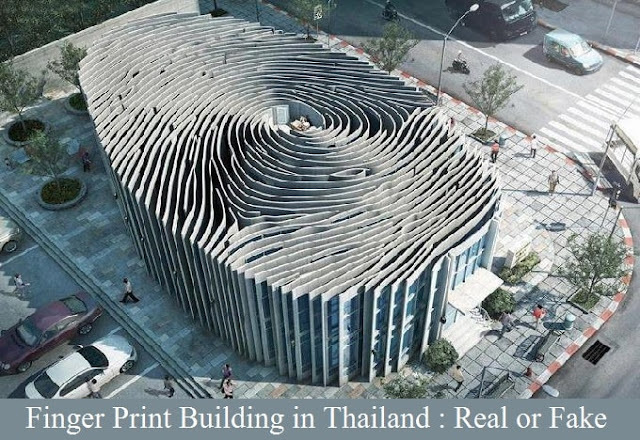 Fingerprint building in Thailand - Designing a creative building is gradually evolved into a trend and these eye-catching buildings makes traveler most interested in visiting the same city. Architects around the world always in search of designing a unique building that not only increase the tourism revenue of the same city or country but also at the same time it makes people to pay more attention towards the architecture work. Fingerprints are one of the most important evidence in the investigation process which are considered as unique, accepted and commonly used by international standards. You might be impressed with the great design of every fingerprint, what if there any building exists in somewhere else which is exactly looks like as a fingerprint. We just had to share this ‘building’ with you. But, before you get too excited about the futuristic design then stand by since it isn’t actually real! It was actually part of a marketing campaign for a company that makes fingerprint software and panels, but it would be pretty cool if it was! 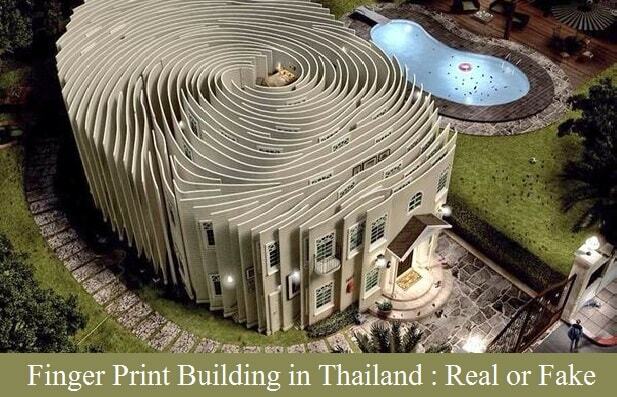 You might have heard or seen some images about some rumors that there is a building in Thailand that looks similar to any thumb print from top. But, Before you get too enlivened about the innovative design, I have to make it clear, it isn't actually real! The whole emerging proposal was actually part of a marketing campaign for a fingerprint scanner company that makes fingerprint software and panels, but it would be astonishing if it would exist in real. The same company works as a manufacturer of fingerprint security systems. To promote these three print advertisements were created by advertising agency SpicyH, Thailand. The shape of the buildings looks like fingerprints which make it looks like a network of different paths. Later It becomes popular example of creative building design for the streets of Thailand – named as fingerprint office, from the outside which looks like a fingerprint on the finger, but the internal structure no one knows what kind of it exists in real. The evidence link of the building is shown to you is the key design which one had never seen before but The news reports reported that no such building come into existence in street of Thailand, Bangkok. The scene of the building in the picture underlying fingerprints associated with one finger but all come possibly with the help of CAD designing which motivates one to create as per beyond the limit of anybody’s expectation with this one can go for the sketch of any type of the blueprint up to any range of creations while designing a building model. 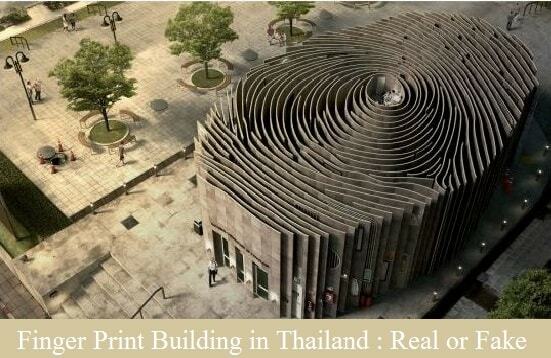 The “Fingerprint Building” does not exist in real in the country named Thailand or anywhere else in the world. The images were created by an ad agency for the promotion of an advertisement campaign of well-established company which makes fingerprint software.